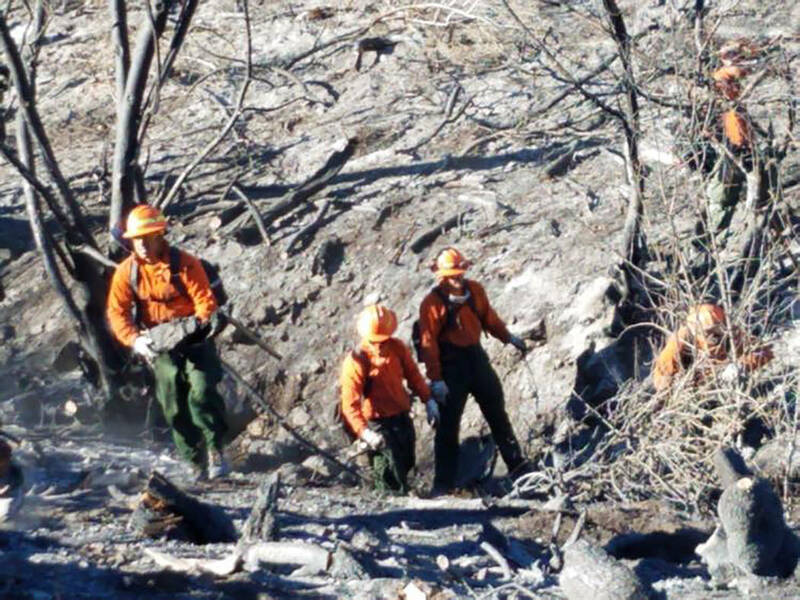 Firefighters this week continued battling a wildland fire in northern Nye County, a blaze that had grown to 120 acres. 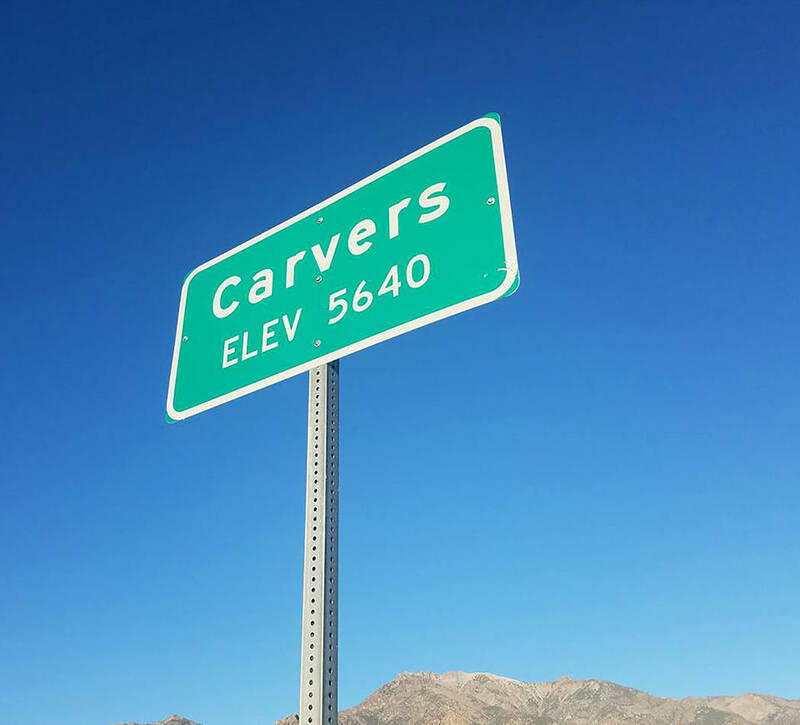 David Jacobs/Times-Bonanza The fire was identified as being about approximately three miles southwest of Carver. The U.S. Forest Service is handling the fire. U.S. Forest Service photo Resources on the Howard Fire included two engines and two hand crews this week. U.S. Forest Service photo The cause of the blaze remained under investigation. Timber and brush are burning, said Naaman Horn of the Forest Service. 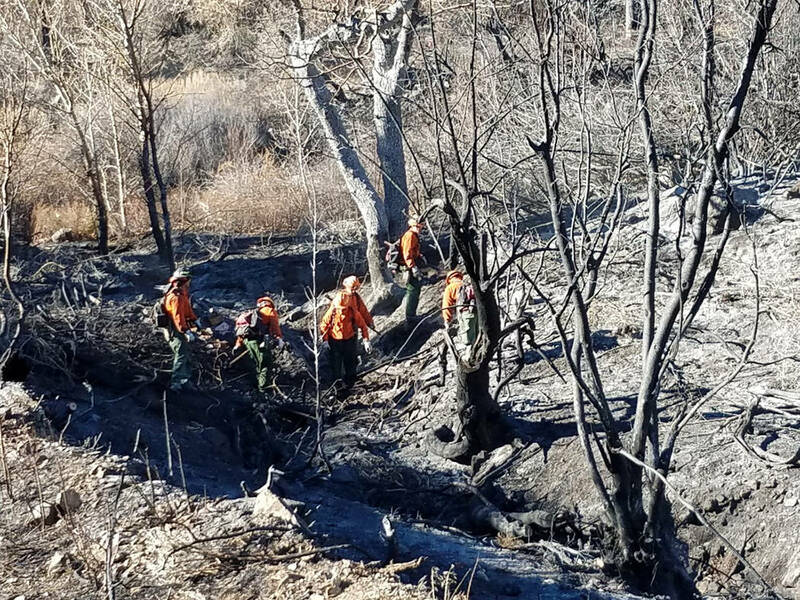 U.S. Forest Service photo This photo shows crews fighting the Howard Fire in northern Nye County not far from the Carvers community. The fire started last week and grew to at least 120 acres. The Howard Fire initially was reported last week as a 30-acre fire. “The slow-moving fire is located approximately three miles southwest of Carvers,” officials from the Humboldt Toiyabe National Forest said via Twitter on Nov. 9. By the next day, the blaze had grown to 120 acres with 10 percent containment. “Cold temps and short days are limiting fire activity,” officials said in a tweet. 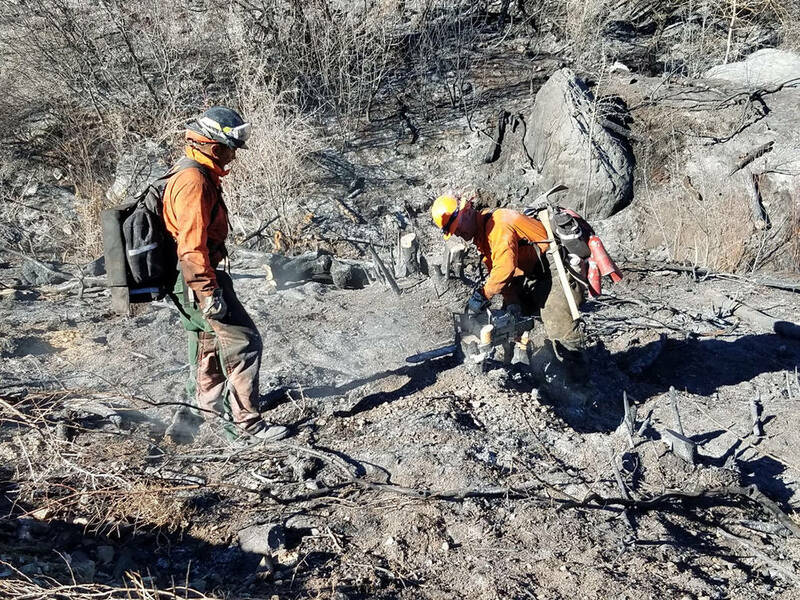 Containment of the fire, in the Austin-Tonopah Ranger District, grew to 50 percent by late Sunday, 80 percent on Monday and 95 percent on Tuesday. The blaze is west of Nevada Highway 376. The cause of the blaze remained under investigation. Timber and brush are burning, said Naaman Horn of the Forest Service. Resources included two engines and two hand crews, he said Tuesday. No injuries were reported or any damage to homes or other structures.